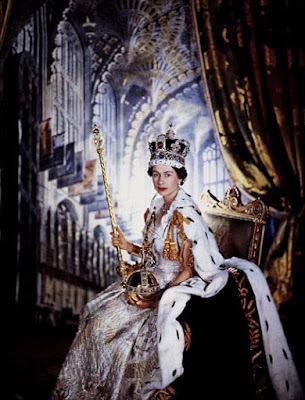 The traditional genealogy of Queen Elizabeth II through her father King George VI traces her lineage back to Petrus a disciple and maternal grandson of St Joseph of Arimathea of the Royal House of David. 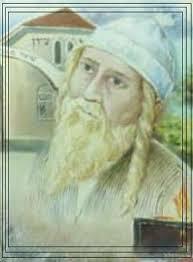 This Petrus (Peredur) was a paternal grandson of St Peter (Shimon ben Yochanan bar Yonah) of the Tribe of Zebulon. Thus Queen Elizabeth and her father George VI (of R1b U106 ydna) are believed by many to descend on the direct male line from St Peter of the Tribe of Zebulon but also have Davidic status due to the marriage of St Peter's son St Mark (Eleazar ben Shimon) to a daughter of St. Joseph of Arimathea of the House of David (ancestor of R1b M222 ydna). However it would seem that this lineage is not her direct male line as Gerolf I Count of Frisia and wife Lady Walda of Les Baux are missing between Gerolf Count of Frisia and Holland and Rorigon of Maine and Les Baux. Thus it is Lady Walda that descends from Petrus and the Wettin male line follows Gerolf I back to King Heremod of the Chauci in the 3rd century AD. 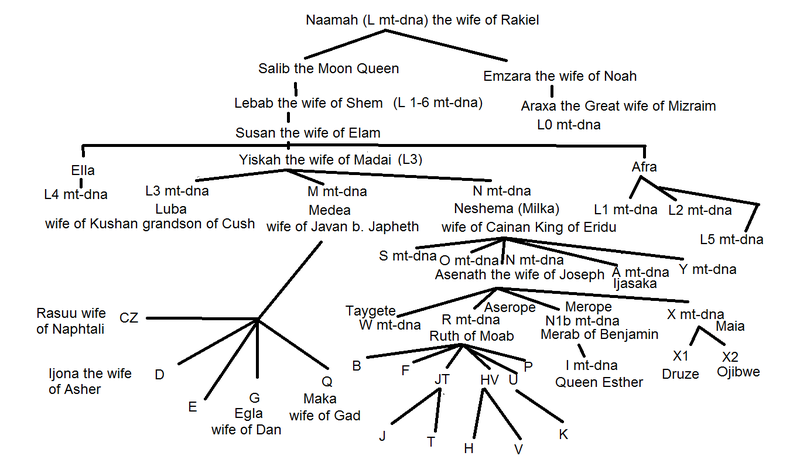 On other female lines she also descends from the Davidic Jewish Kings of Narbonne and Septimania, as well as the Davidic House of the Stuarts and the Davidic Danish/German House of Oldenburgh and the Carolingian Davidic Kings (all of R1b L21 ydna) . On the direct male lineage from Lady Walda of Les Baux the Queen descends from a half-brother of the Emperor Constantine the Great who also was on his male line of the Tribe of Zebulon but of female Davidic Status. The modern Kings of Belgium and Bulgaria are also of this same lineage as Queen Elizabeth. Also the last four Kings of Portugal were of the House of Saxe-Coburg and Gotha. It interesting that this House is divided into different denominations. The Queen of Britain being of the Anglican faith, the Kings of Belgium and Portugal of the Catholic faith and the Kings of Bulgaria of Eastern Orthodoxy. When Prince Charles ascends the British throne the direct male line descendants of King David will be restored. Queen Victoria was descended on her direct male line back to the Jewish Exilarchic family in Barcelona in the 10th century. Thus the House of Welf or Guelf is also R1b L21 ydna. Queen Victoria believed that her throne was the Throne of David and she had her genealogists make a chart showing her descent from King David. 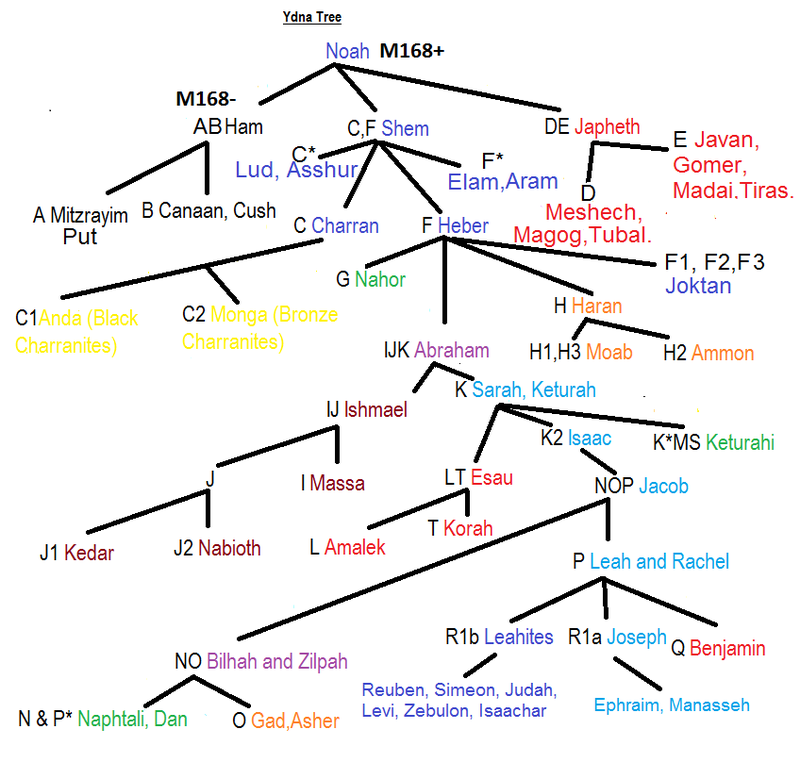 Most of the Royal Houses intermarried over and over again and it would seem most of the major Royal Houses belong to R1b L21 (the direct male line from the Davidic House of Nathan), R1b U106 (a branch of the Tribe of Zebulon) and R1b U152 (the Tribe of Reuben). Here is Queen Elizabeth's lineage back to St Peter. 1. Queen Elizabeth II of Great Britain married Prince Phillip of Greece and Denmark (of Davidic R1b L21 ydna). Prince Philip also descends from Queen Victoria and Prince Albert on a maternal line and the Queen descends from the Kings of Denmark on a maternal line (through Queen-Empress Alexandra a Princess of Denmark the wife of King Edward VII of Britain and Emperor of India). 2. King George VI of the British Empire and last British Emperor of India married Lady Elizabeth Bowes-Lyon. 3. King George V married Princess Mary of Teck. 7. Duke Francis Frederick Anthony Duke of Saxe-Coburg-Saalfeld married Countess Augusta Reuss of Ebersdorf. He was also the patrilineal ancestor of the Kings of Belgium (through his son King Leopold I of Belgium), the last four Kings of Portugal (through his son Prince Ferdinand the father of Ferdinand the Consort King of Portugal who married Queen Maria II of Portugal) and the Tsars of Bulgaria (through Prince Ferdinand's other son Prince August the father of Tsar Ferdinand I of Bulgaria). 21. Frederick I Margrave of Meissen (born 1257) married Elisabeth of Lobdaburg-Arnshaugk the daughter of Elisabet d'Orlamuende, the daughter of Beatrix de Andrechs-Meranien, the daughter of Beatrice von Hohenstauffen, the daughter of Margerite de Blois, the daughter of Princess Alice of France, the daughter of King Louis VII of France and Eleanor of Aquitaine. 22. Albert I Landgrave of Thuringia (born 1240) married Princess Margaret of Sicily daughter of Frederick II the Holy Roman Emperor and his wife Princess Isabella of England (daughter of Isabella of Angouleme [wife of King John of England], the daughter of Alice de Courtney (sister of the Latin Emperor of Constantinople), the daughter of Elisabeth de Courtney, the daughter of Hedwig (Hawise) of Donjon, the daughter of Elisabeth of Donjon, the daughter of Elisabeth von Sponheim, the daughter of Hedwig of Saxony. 23. Henry Margrave of Meissen married Konstantie of Austria the daughter of duke Leopold VI of Austraia and his wife the Byzantine Princess Theodora Angelina the daughter of John Dukas and Zoe Angelina Doukaina (the daughter of the Empress Euphrosyne Kamertera [wife of Emperor Alexius III Angelos], the daughter of Duka (Judith) Princess of Ethiopia [wife of Andronikas Komerteros Doukas], the daughter of Princess Gurandukt of Georgia [wife of Prince Mairari of Ethiopia], the daughter of George IV of Georgia. 24. Dietrich (Theodoric)Margrave of Meissen married Jutte (Judith) of Thuringia the daughter of Hermann Landgrave of Thuringia and Sophie of Sommerschenburg (the daughter Luitgarde von Stade, the daughter of Richilda von Sponheim). 25. Otto Margrave of Meissen (born 1125) married Hedwig (Eva) of Brandenburg daughter of Albert I the Bear Margrave of Brandenburg and his wife Sophie of Winzenburg (the daughter of Hedwig von Istria (Evverstein) the daughter of Richilda von Sponheim, the daughter of Hedwig of Saxony, the daughter of Elica von Schweinfurt, the daughter of Geberga (Judith) of Ethiopia and the Khazars). 27. Thimo Margrave of Kistritz married Ida of Nordheim daughter of Otto of Nordheim and Richenza of Swabia. 28. Dietrich II Margrave of Ostmark married Matilda of Meissen daughter of Eckhard Margrave of Meissen and his wife Swanhilde Billung of Saxony. 30. Count Dietrich I of Hassenger [b.980] married Princess Judith (Gerberga) of Ethiopia and the Khazars daughter of Queen-Empress Judith (Gudit) of Ethiopia and the Falashas and her husband King Georgius Tzul (Zenobius / Zavid) King of the Khazars. 31. Dirk (Dietrich) II Count of Frisia and Holland and his wife Hildegarde of Flanders the daughter of Arnulf I Count of Flanders and his wife Princess Adele of Vermandois. 32. Dirk (Dietrich) I Count of Frisia and Holland married Geva (Gerberge/ Geveret) of Swabia the daughter of Burkhard II Duke of Swabia and his wife Lady Reginlinde of Thurgovie. 33. Gerulf (Gerolf) Count of Frisia and Holland (b.850 d.896) married Princess Tora of the Vikings in Scotland the daughter of Godfraith (Godfrey) King of the Vikings in Scotland and his wife Princess Ragnhildis of Denmark. 34. Lady Walda of Les Baux married Gerolf I Count of Frisia a direct male line ancestor of Heremod King of Chauci of the 3rd century AD who in turn was descended from Moda King of Chauci (the ancestor of U106 DF98) of the 1st century AD a relative of St Peter and a descendant of Jonah of the Tribe of Zebulon. 35. Rorgon (Roricon/Rorick/ Theodoric) Count of Maine, Rennes and Les Baux and his second wife Blichilde of Frisia the daughter of Hildouin (Helgu/Olaf/Hemming) Halfdansson Prince of Denmark , Frisia and Jutland and his wife Helga Dagsdatter. 36.Gosselin (Gauzhelm) Count of Maine married Ruth (Rotrud/ Aldatrude) of Babylon and France (b.780) the daughter of Mar Zakkai of Babylon and Princess Dhoude of the Franks. 37. Herve of Maine married Lady Gossia of the Khazars the daughter of Sabriel Baghatur Khagan of the Khazars and his wife the Davidic Princess Serakh. 38. Dietrich (Theodoric) of Maine. 39.Herve Duke of Maine (723). 40. Enkel King of the Radbads of the Rhone Valley married Lady Bilhah of Aquitaine the daughter of Rabbi Ahunai of Palestine (aka Hernaut de Beauland) and Aquitaine and his wife Lady Dode (Ita) of Aquitaine. 41.Elidyr the Rhodan (Radbad/ Eadgils?) Duke of Frisia (as Radbad I)(b.673 d.719) and his wife Celenion (Urenkelin) of Septimania the daughter of Mar Abu Aharon (Garin) of Babylon and Septimania and his wife Imma Bilhah bat Heman (aka Mabile Ermenjart). 42. Sandde (Sandef/ Eadgils?) King of Calalus (b.655)Last King of Arthurian Calalus and Ruler of the Frisians. 43. Alcun King of Calalus (b.635 d.663) married Princess Anna of Britain the daughter of King Cadwallon of Gwynedd and his wife Princess Alcfrith of Mercia. 44. Tegid King of Calalus (b.612). 45. Gwyar (Gwair) King of Calalus (b.593) married the Lady Morgana the daughter of King Arthur of Gwent and Prince of Dal Riata and his wife Lady Lionor of Lyonesse. 47. Llywarch Hen Calchfynydd (Llywarch the Graceful) King of Calalus (b.553) married Queen-Priestess Morgana La Fay the daughter of Cadrod Calchfynydd (Gideon of Rhoda/ Elidyr/Elisedd) King of Calalus and his wife Princess Wynne of Gwynedd in Britain. 48. Eadgils King of Mrygings in Sweden (b.534). 52. Cadell King of Lochlann (b.439) married Princess Gwelfyl of Powys the daughter of Catigern the Blessed King of Powys. 62. Prince Eutropius (Edor) of the Danaan of Caledonia (b.220). 63. 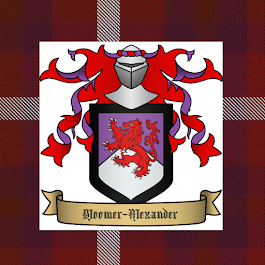 Prince Arguth of the Danaan of Caledonia. 64. St Melianus of Caledonia, Cornwall and Brittany (b.170). 65. St Milo of Eridini (b.150). 66. Budic (Barbur) the Swan Prince of the Danaan. 67. Prince Athal Anubal of the Danaan of America (Atullia) and Ireland (b.110). From the legendary secret Romano-Jewish Colony in America. 68. Prince Alain of the Danaan. 69. Prince Erlan of the Danaan (b.69). 70. Lord Petrus of the House of Jonah of the Tribe of Zebulon.He went with his maternal grandfather Joseph of Arimathea to evangelise Britain. He is mention in the Holy Grail legends as a disciple of St Joseph of Arimathea. He later settled at Avalon on the island of Lochlann (Frisland) in the Atlantic Ocean north west of Ireland and Britain which is now under the sea. 71. 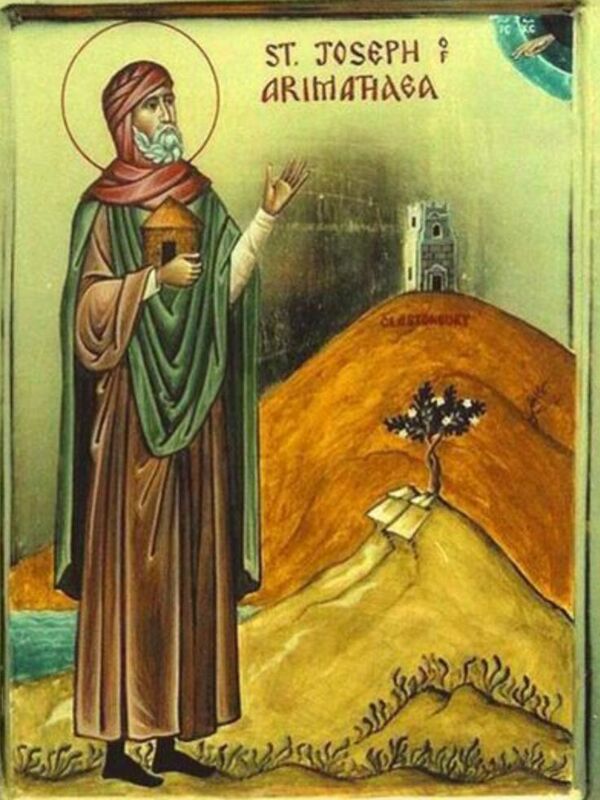 St Mark (Eleazar ben Shimon) First Patriarch (Pope) of Alexandria married Chana (Anna) daughter of St Joseph of Arimathea of the House of David.